11:11. Singles’ Day. If it didn’t mean anything or much to you in 2017 it certainly would have this year. 11:11 is now the biggest single day of retail shopping on the planet. With more and more New Zealand companies supporting Singles’ Day, we scored 9th in sales value on the list of countries that directly benefited from the USD$30-Billion sales extravaganza. Chinese shoppers bought up large on New Zealand dairy (A2 milk especially), lamb and personal products. As an example, Ecostore has been a part of Singles’ Day for three years, and this year made $2.36m in sales, doubling last year’s efforts. We then segue into the biggest Black Friday retail sales event ever, with over $400 million spent over Black Friday weekend in New Zealand. 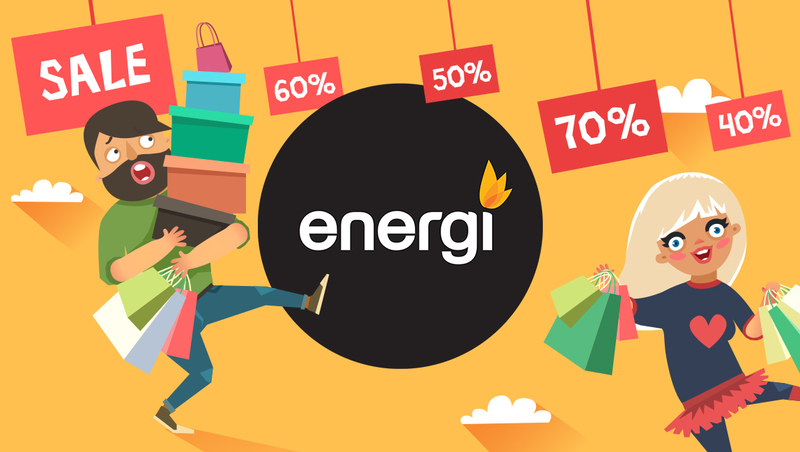 We sent the Energi video team to capture the Black Friday fever to see precisely how the event has started to take root with shoppers. As we call ‘wrap’ on November and head into the Silly Season of Christmas Shopping madness: stay safe, keep your health paramount, look up from your computer, find some sunshine and remember to breathe. Check out our inaugural Shopper™ Vlog on what happened on the MEGA retail event, Black Friday here. 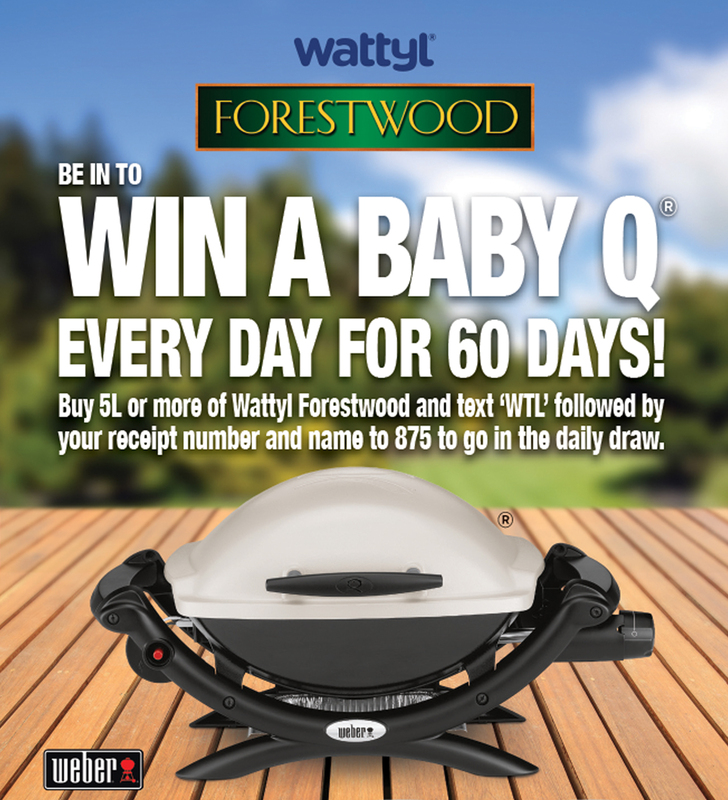 As New Zealanders embark on their domestic home improvement DIY projects in the lead up to Christmas, our client Valspar has their annual summer Wattyl Forestwood Win a Weber Baby BBQ promotion. It’s a great moment each day to phone a lucky Shopper and advise them of their good fortune, and thank them for choosing Wattyl Forestwood. 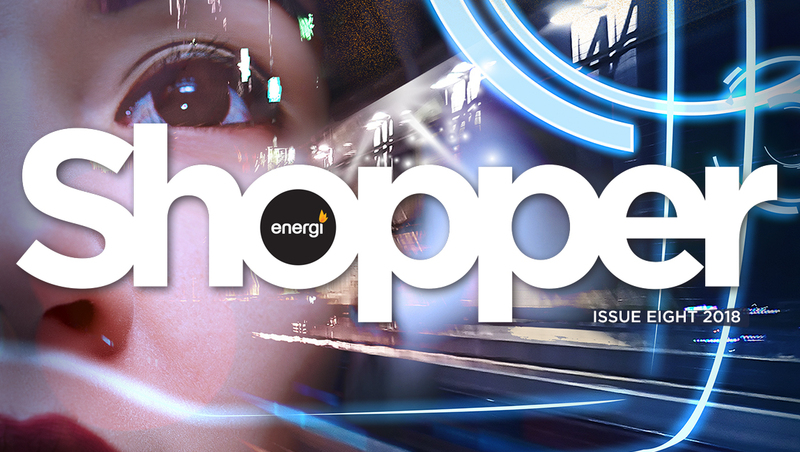 Hitting your inbox next week is the latest edition of Shopper, in which we take a look ahead at what we can expect to see in 2019. With October done and dusted, we are roaring down the retail runway to Christmas. But wait there is more…Just around the corner is the beginning of hyper retail events recently adopted by New Zealand retailers. China’s – and the world’s – biggest online shopping event is about to take place on 11 November. Singles’ Day, also known as ‘bare sticks holiday,’ started in 1993 at Nanjing University as a day for students to celebrate their singledom. The date 11:11 was chosen as it resembles 4 solitary bare sticks. It has been transformed by AliBaba-owned platform, Tmall, and is the largest offline and online shopping day in the world, with Alibaba shoppers exceeding USD25.4 billion in spending in 2017. Their rival JD.com entered the shopping festival gathering USD19.1billion bringing the total for Singles Day retail to $44.5billion. Next, we have Black Friday on 23 November. This shopper festival commenced in Philadelphia to mark the day after Thanks Giving when the heavy traffic and pedestrian traffic would mark the official beginning of the Christmas Shopping season. But before we get any further into November we will take a moment to reflect on the events of October! Simon Jarvis of the NZ Racing Board otherwise known as the TAB took out the prestigious award ceremony held at the end of September. Lew & Lou Bentley as part of the sponsorship package hosted a luncheon with Simon to gain a better understanding of how he achieved this feat. Simon’s philosophy was simple, surround yourself with really great people and unleash them to do what it is they do best. 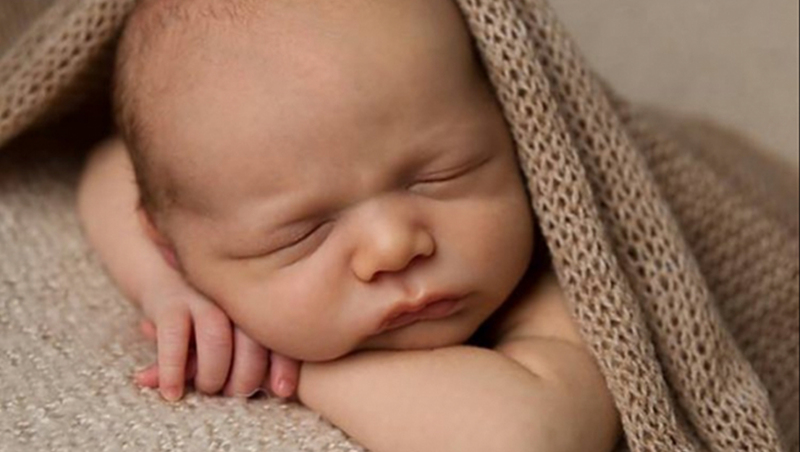 Oliver Anthony White was born on October 4th 3:25PM weighing in at 7.5Ibs. Proud Parents Energi Account Director Melissa Ranaldi and her partner Anthony White are naturally over the moon. This event commenced the 12 month period of Maternity Leave for Melissa. Energi at Work at Play! Energi client Valspar celebrated with the winners of the ‘Mitre 10 Cup Referee Experience’ at grass roots level. 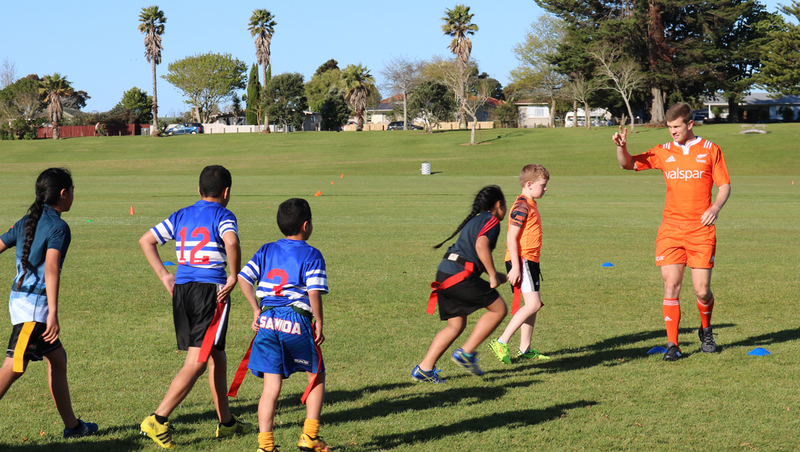 Rugby kids had an energetic and spectacular time as they experienced doing Rugby Drills lead and supervised by the Valspar Referee. A special time made even more special by Energi Account Manager Penelope Blindell rocking up with Pizza and refreshments. 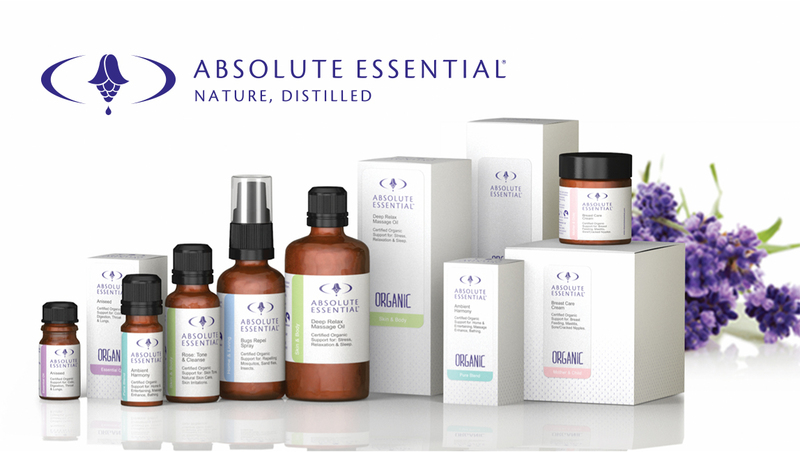 Lou Bentley headed west to Muriwai and the home of essential oil company Absolute Essential ™. With her Bauer Editor for the Health & Wellbeing category, Lucy Slight. Dr. Bo Hendgen assisted us in exploring her world of essential oils and we discovered the unique health and wellbeing benefits of embracing them. Founded in November 1998, Absolute Essential is about to celebrate their 30th anniversary. To this day it is the only certified organic range available in New Zealand that sources sustainable, medicinal quality plant oils from artisan producers worldwide. 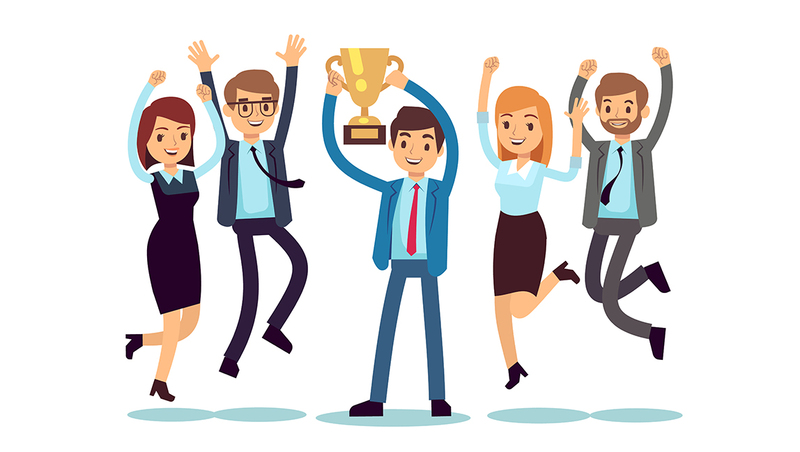 Winners of the Sustainable Business of the Year award for 3 consecutive years and invited as the only health and wellbeing company of 80 companies to bear the prestigious Black Fern, we doff our cap Bo! ASB Business integrated some of the Energi Christmas Shopper study insights into e-DM’s designed to add value to the ASB business customer. Read it here. Not certain about you, but for me it feels as if it should be April not August. We blinked here at Energi and then boom, time travelled into August. Hopefully you received and read Shopper Magazine Volume 7.We decided to discuss being ‘Always On’. There are insights we can all relate to, a couple of them I actively put into practice while honeymooning. The concept of time travelling came up on a CNN story of how we have effectively stretched a 24-hour day and created the equivalent of a 31-hour day. So if time does seem to go in the blink of an eye, it actually is. As the Sponsor of the Marketer of the Year for the TVNZ Marketing Awards we surveyed each of the finalists during August to see how they manage the ‘Always On world’. 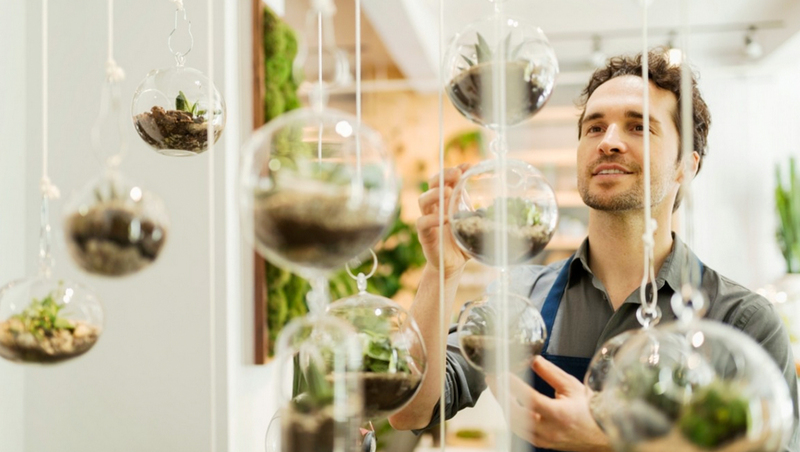 They shared their strategies and tactics on how they manage to keep working on the important and not be disrupted by eternally cascading inboxes, talk less on the phone and manage their time. Look out for the September edition of NZ Marketing Magazine as Lew Bentley dove a little deeper into this subject, writing an insightful article on the effects of Always On. 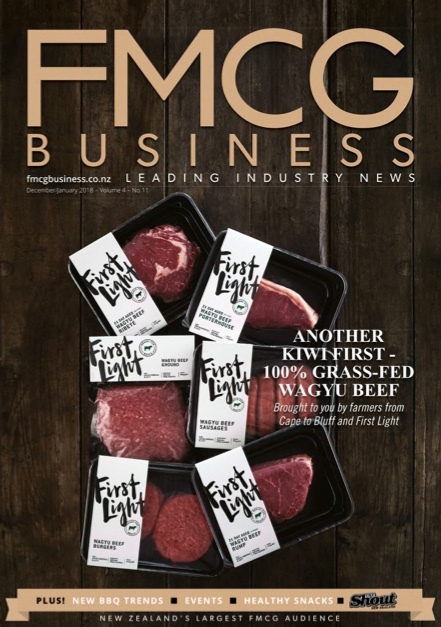 The September issue is published the day after the annual TVNZ Marketing Awards being held on Thursday 13th September at the Cordis Hotel. Attend if you can, last year was a blast! 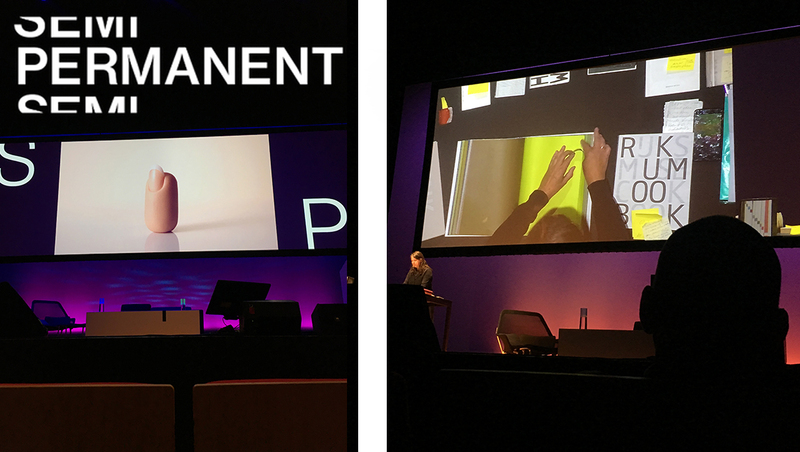 Belinda attended the festival of creativity, Semi Permanent, bringing together some of the world’s best thinkers and doers. This expanded over three days, 9-11 August, providing opportunities to enjoy talks, book launches, workshops, lunches, cocktails and more. Sitting front row seat, Friday morning’s seminar started off with Chip Kidd’s intensely personal opener “No Need to Respond” it was emotional, gut punching and raw. Mark Smith & Alan Bibby from MPC in New York imparting pearls of wisdom “Fear holds you back, terror drives you”. A-list photographer, Mike Muller was incredible, he emphasized the importance of personal projects and how they can lead to career opportunities. His advice – not having a defined style allows creative diversity with projects, you don’t get typecast. Jer Thorp, data artist, wants to unlock the promise and the power of data – information – and share it with everybody, rather than have it concentrated in the hands of a few. Irma Boom, sometimes dubbed the “queen of books” was by far the most memorable creative. Recognised as being one of the world’s most inventive, creative and experimental book designers she captured the audience with her charm and true passion for books. Her new tome Gover Gover ‘defies codes of bookness’ and is an eight-page gatefold, each of which represent a different Viktor&Rolf collection. This symposium has been inspiring creative thinkers in New Zealand for 15 years and we look forward to more to come. 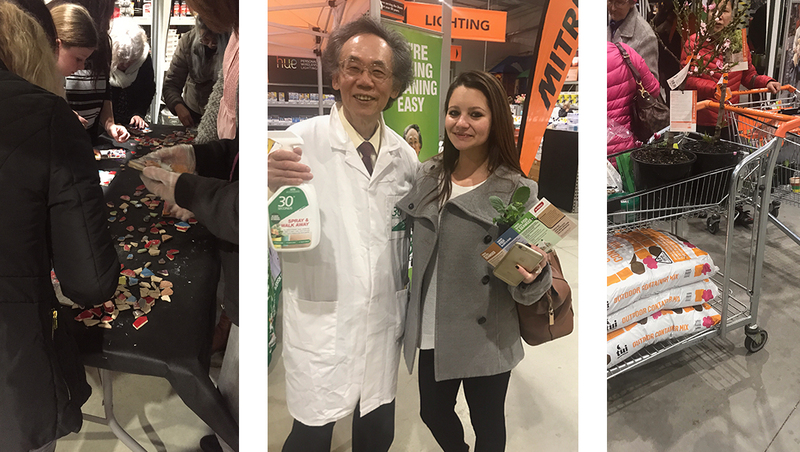 We attended a Mitre 10 “Ladies Night” held at their Wairau Park store. It was an evening of women mucking in: wielding power tools, making smashed tile mosaics, painting terracotta pots, building blackboards, learning about gardening arts, and learning the latest in water-saving technology for the shower lovers amongst us, and so much more! The insight to take away was that women want to engage and learn DIY skills in a practical way to improve the aesthetics of their home. Success of the evening event was shown with laden trolleys full of purchases and smiles all round. 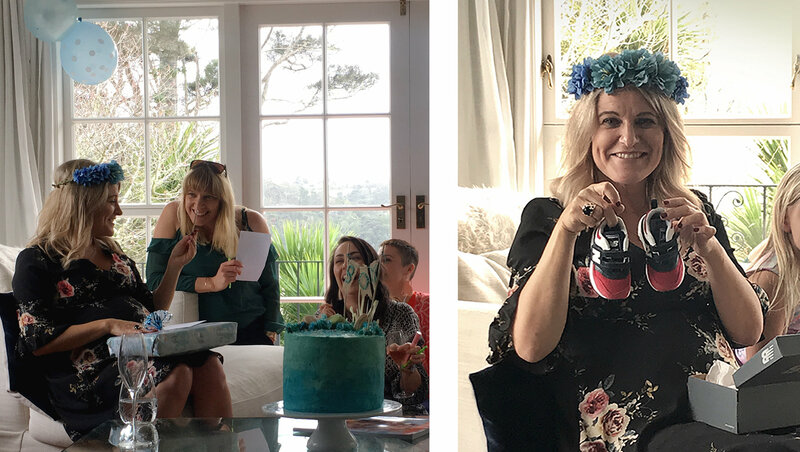 Melissa Ranaldi enjoyed her Baby Shower attended by her girl gang from school days, former employers, and the girls from Energi. For many there it was as if it was yesterday they were either lurching around the Shore or working up campaigns with Melissa. She takes up her 12-month maternity leave on Thursday September 6th, from 3:00pm on we’ll be celebrating her pending motherhood with a High Tea. Please feel free to join us if you wish to pass on your best wishes to Melissa and let Penelope.blindell@energi.co.nz know. Lew Bentley and I married on this day and on this auspicious hour at the Chapel of the Holy Child at Kings School in Remuera. With three generations of males in the newly-blended Bentley family having attended chapel services there, it was the ideal venue. An intimate candlelight service was followed by mulled wine, celebration and many tall tales told at 46 & York. The friendship that began forty years ago as teenagers attending dancing class evolved into a wedding dance. From now on I will be known as Louise Bentley and my new address is louise.bentley@energi.co.nz. 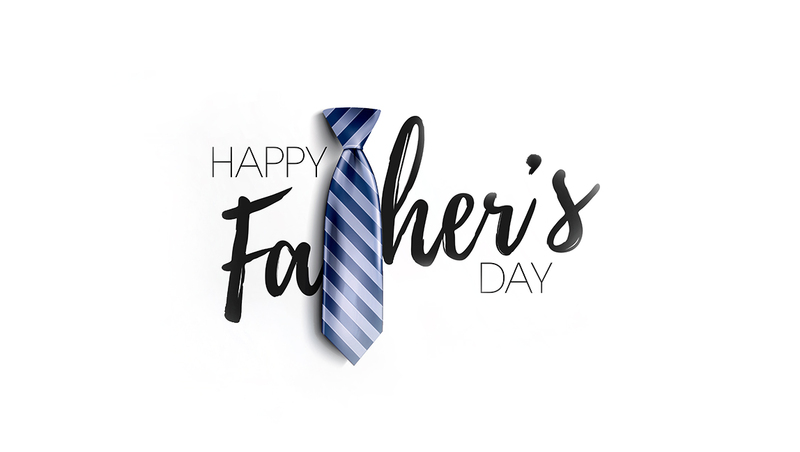 For all you Dads out there this Sunday (September 2nd) is your big day off. Having watched the Celia Lashley documentary by Amanda Miller at the recent Film Festival, being a Dad is a massive job, indeed, possibly the most important job of your lifetime. So, congratulations on raising boys to become fine young men, and keep up your wise guidance, love and support. 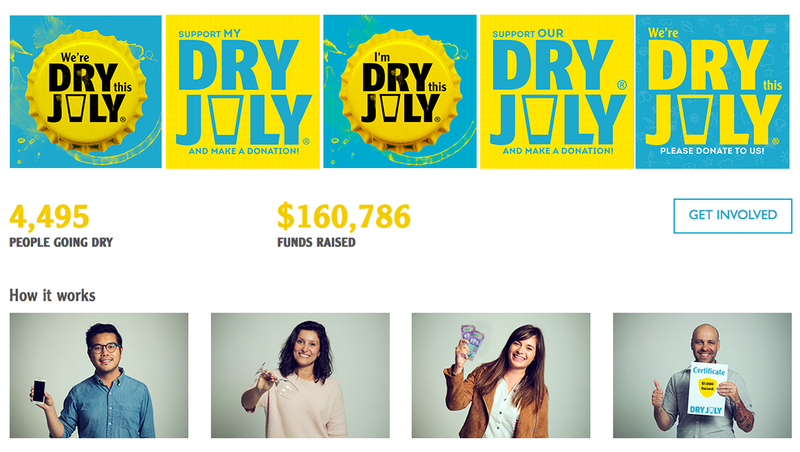 Dry July has come and gone with relatively little pain at all! Two of the team at Energi undertook the program, myself and Account Manager Penelope Blindell. Around the half-way mark our CD Paul Bayley purchased a golden ticket for me for $25.00, as a donation to the fundraising effort and that golden ticket gives you a night off Dry July, Fantastic! We also enjoyed the release and publishing of the 2017 Christmas Shopper study. The second year in, we are beginning to see trends forming. Several presentations and bespoke recommendations later, the feedback and appreciation for this value add has been excellent. The ultimate feedback for us was from a large retail property group who used the insights from 2016 to build their Christmas Playbook. We constantly strive to find ways to add value for our clients looking to gain an advantage with demand driving strategies. 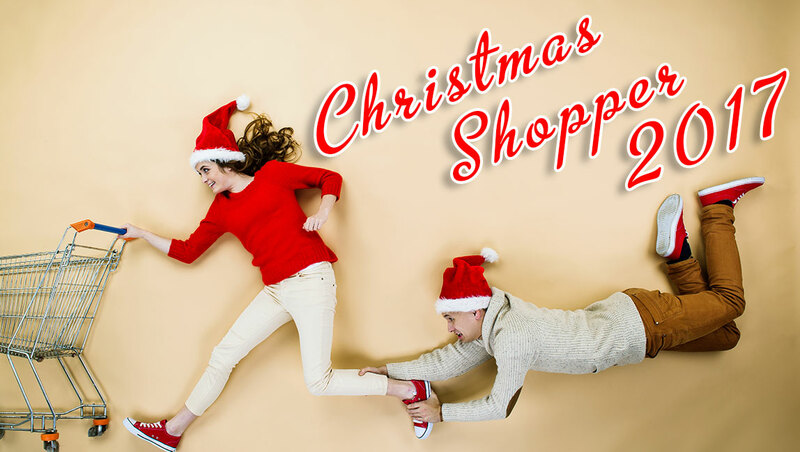 The largest and longest Shopper event of the year warrants our time and investment accordingly. Attending the Trade Day for the annual Food Show 2018 was an eyeopener. The amount of progress the food industry has made into the space of health and wellbeing with innovations in the functional food and beverages are to be applauded. Increased amount of new brands with innovative product offerings to satiate consumers demand with healthier eating options for everyday life was evident. The New Zealand food industry has a long way to go, but we also have a very firm foundation with brands such as ?repa a super boosting anti-oxidents drink targeting brain care, founded by Angus Brown www.drinkarepa.com Next impact play noted was the Tumeric Protein Powders for Gut Health and in the leisure space the Craft Beer category for small batch production such as Laughing Bones. They had many lined up for the taste of success. As for the experiential value adds for Shopper participation, the Spin and Win wheels were spinning and people were winning! Looking forward, as we come out of Dry July we emerge into the Thirst of August (a very cunning line created by Lew Bentley). Tomorrow commences the 7 day countdown until Lew Bentley and I marry and merge our four sons officially becoming a modern family. I also become Lou Bentley. The auspicious date and time of our pending nuptials 08.08.18 at 8:00pm seems apt. From Queen’s Birthday, kicking off June with the news of Dames and Knights creating the water cooler talk around the country, through the Mid-Winter Solstice along comes the Mid-Winter Blues. June has seemed like an incredibly long month! One thing is for certain, no matter what, in business, you are either working on the business or in the business. At Energi we believe it is our role to keep our finger on the pulse and share insights we gather as we go from month to month. No matter how cold and wet it is out there, we soldier on! Christmas is the largest shopping event of the year. It spans 3 months and creates nearly $6 billion in retail sales in December alone. 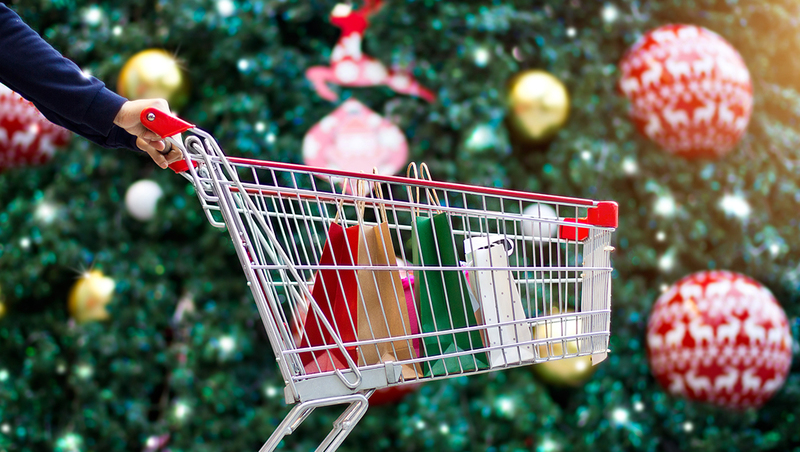 While you might think you know about Christmas, this study is sure to surprise you with how kiwis look at Christmas and what they do with their present buying, celebrations and holidays. To make a time for a presentation for your marketing team contact stephanie.perrett@energi.co.nz. Bring in your checklist, wish list or obstacles and we can identify opportunities in many categories to amplify the chance of your sales success. 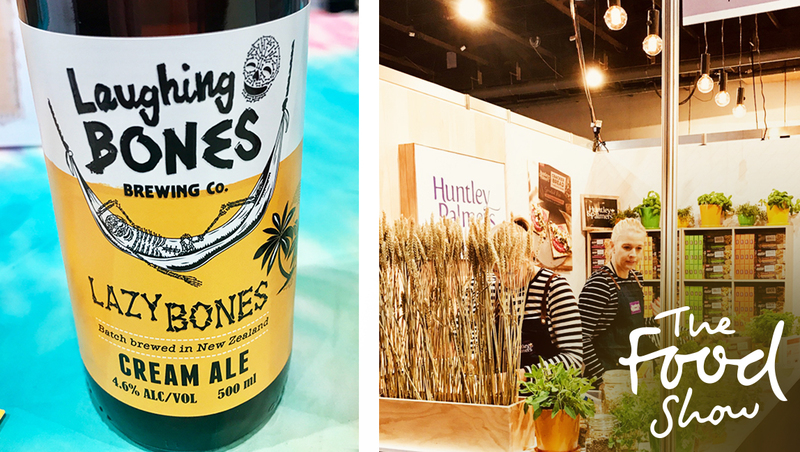 The bi-annual Fine Food Show held at the Auckland ASB showgrounds saw 300 exhibitors vying for the attention of the Food and Hospitality industry of New Zealand. From equipment, Food Service slabs of frozen cakes, the first Non-Alcoholic Spirit to make it into Foodstuffs, thought leadership panel discussion style seminars providing a stimulation and inspiration for those that attended all or some of what was on offer over the 3 days. 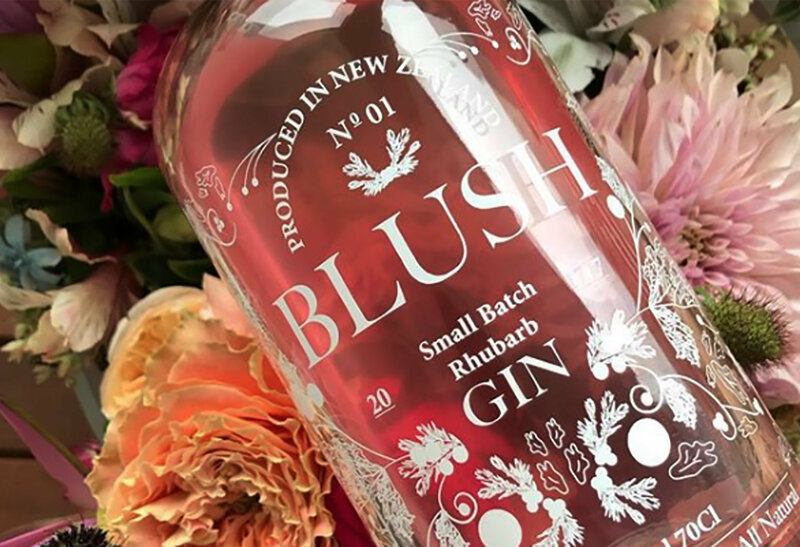 A personal favourite new product Blush, a rhubarb infused Gin. Made in small batches it tasted truly delicious. Marketing Association – Digital Ethics and Privacy. As card carrying members of the Marketing Association we attended the June networking event held at Generator in the Britomart Precinct. Attended by 50 or so Digital marketers on the subject matter of Digital Ethics it raises the question, as Marketers are we doing enough to protect our customers data? Does the customer actually care? The answer: the customer definitely does care, but the level of care depends on the level of security required. Banking would be entirely different to say a sneaker store as advised by Michael Goldfinch, Director of Hunch. Driving Change with new technology. This event was held at the Crowne Plaza at 7:00am, Wednesday June 20th, hosted by the Marketing Association and Qrious with Vincent Heeringa partner at Anthem PR. We heard from Laura Maxwell, CDO NZME on the transformation of NZME digital and how they go there through embracing the digital disruption and why organizations need to fail fast and pivot. Scott Bishop, CIO at Z Energy, presented how they shifted the business thinking towards a friction-less and loyalty-based experience for customers with the creation of the FastLane. And finally, David Jones, Business Growth and Innovation for WREDA with the results of the ‘LookSee Week’, a campaign to attract the best up and coming digital minds to Wellington from throughout the world. From a total application base of 42,000 applications they found 97 to LookSee. 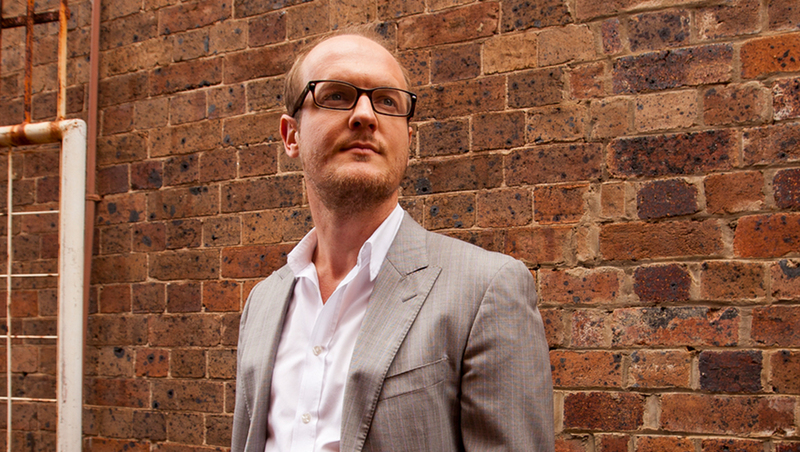 Lew Bentley our Head of Planning and Insights at Energi and former Convenor of Judges for the Effie Awards headed off to the Marketing Association to participate in round one of the judging from submissions for what Marketers considered to be their best foot forward for the year. The next round of judging is in August with the Awards night being held on September 13th at the Cordis Hotel in Auckland. Energi is the sponsor of the Marketer of the Year Award. We go to school to learn to learn, and in this fast-paced digital world we need to keep our fingers on the pulse. With this aim for continous learning we created a forum 2 years ago. Each Thursday at 4:00pm we invite a guest in to present their latest NPD, insights, trends that could enhance our knowledge and recommendations. 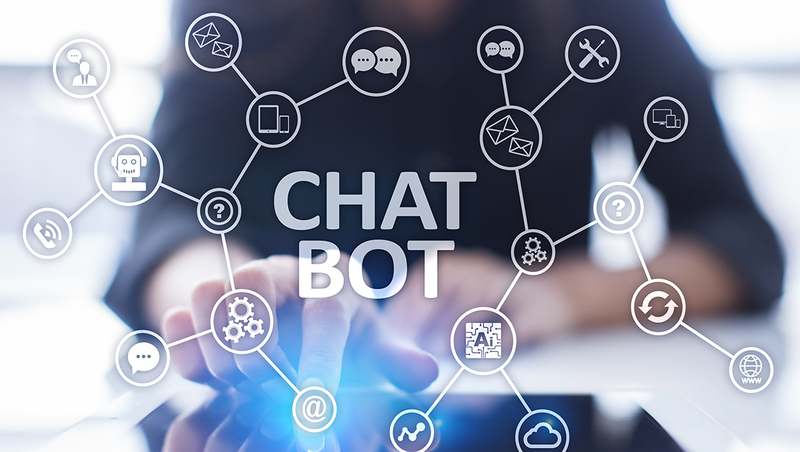 ChatBot Company, Ambit came in during June and we were so inspired they care coming back in July. If you are curious and wish to learn more contact vishal.ponnappa@energi.co.nz and feel free to join us Friday 27th July 2:00pm at Energi. 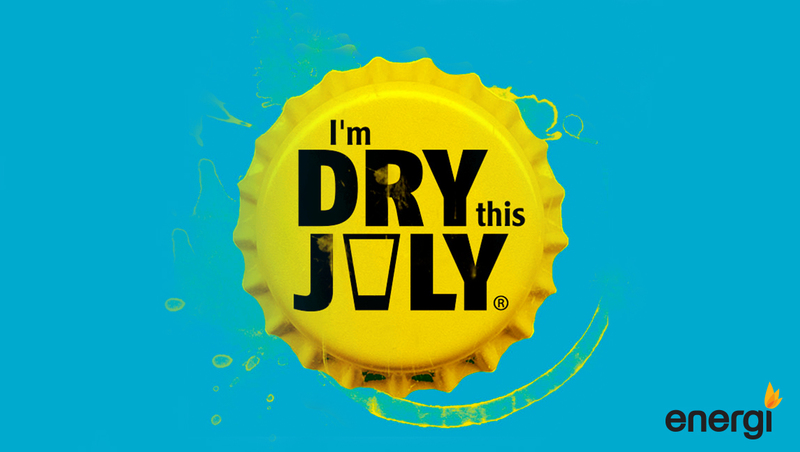 What’s Next – Dry July! Three of us have signed up for the fundraising initiative to aid those suffering from Cancer (is there ever enough money? NO). Feel free to drop a small donation if you wish to into our pages. As of Sunday July 1 we will be abstaining from all matter of temptations. 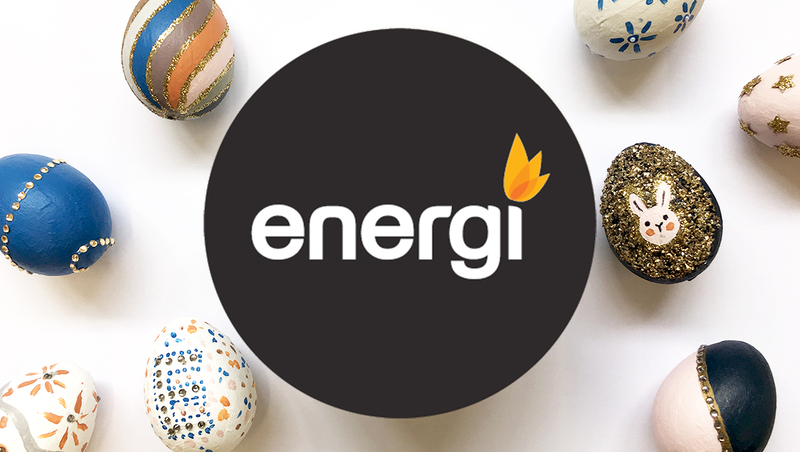 The month of May presented several Autumnal Golden days and Golden moments for Energi. We won Gold at the annual Pride in Print Awards for our Energi 2017 Christmas Initiative. This core idea emanated from the Energi Christmas Shopper Study. 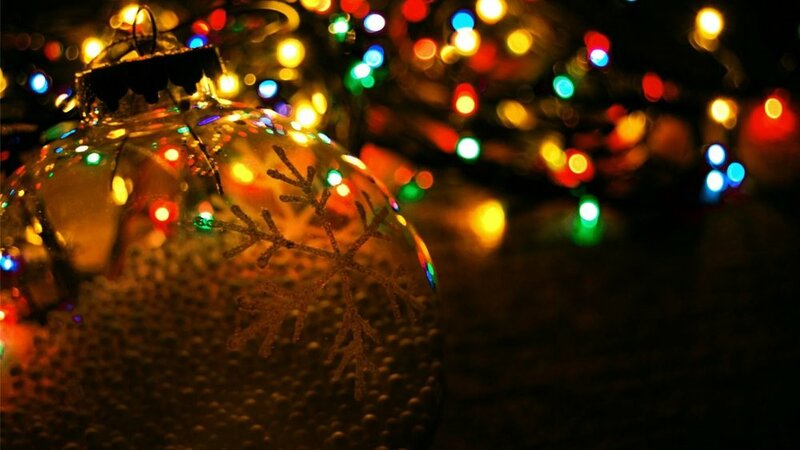 Play up Christmas, amplify it, leverage it as a season to celebrate and bring joy to the festive season. So the idea of the Trunk Bar containing the Christmas Cheer French Rosé Collection accompanied by a curated French soundtrack downloaded by Spotify Playlist was judged for its complete Gold Medal worthiness! Also in May, The Royal Wedding! Viewed by 2 billion people, the event successfully teleported the Markle Sparkle from Actress to Duchess. 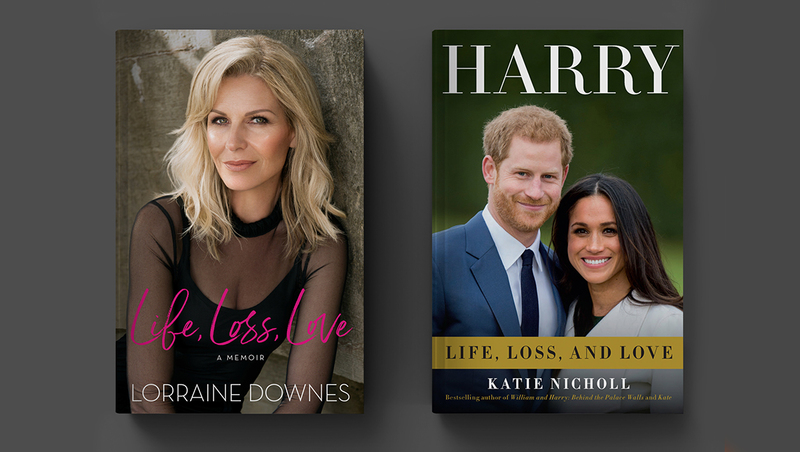 At the exact same moment as Prince Harry released his own biography Life, Loss, and Love, our very own national treasure dubbed the Queen of Hearts, Lorraine Downes, released her Memoir: Life, Loss, Love. What are the chances of that – maybe one in 2 billion! 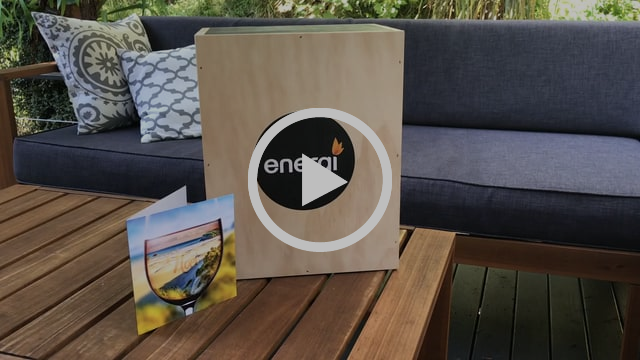 We made a wee video of the award winning Energi Trunk Bar launched Christmas 2017. Check it out! 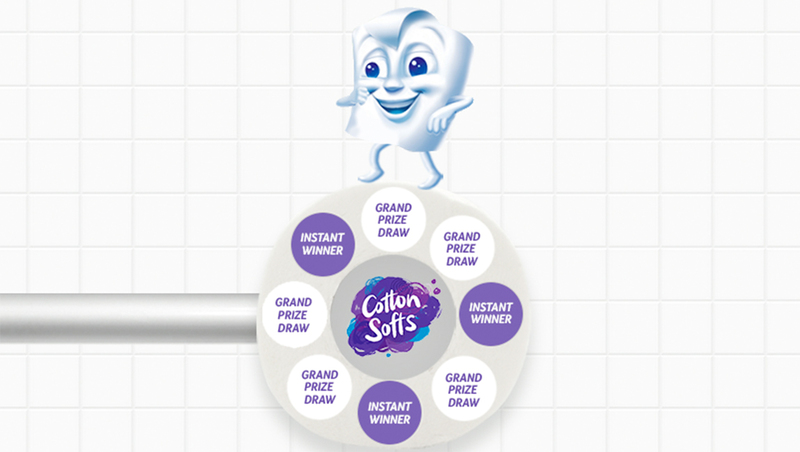 As a part of the CottonSofts relaunch we designed a game-based competition to engage customers socially. The Spin & Win Facebook game smashed the campaign objectives and put some excitement into an everyday category. To see the results and find out how we can boost your social engagement, feel free to contact Lew Bentley. As you‘ve come to know we try our best to help where we can by supporting causes where we can. 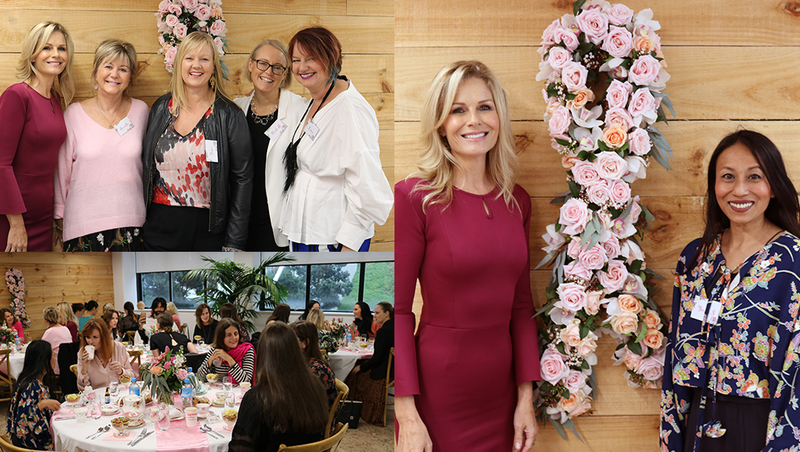 Our annual NZ Breast Cancer Foundation Pink Ribbon Breakfast was held at Energi on May 23rd hosted by the former PRB Brand Ambassador, Lorraine Downes. 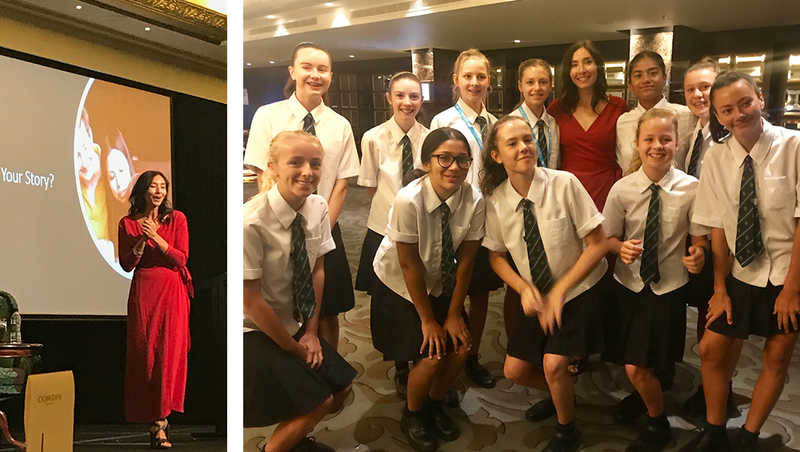 She shared her story of writing her best-selling book and the NZBCF CEO Evangeline Henderson bought our guests up to speed with the latest developments within the Foundation and the good work they do with the support they receive from the donations. If you missed attending a breakfast or have not had a chance to donate to such a worthy cause you can donate to our Energi Page here. We have developed our SocialScope™ campaign analysis and reporting tool. This is designed to align Social Media performance back to strategy. It takes a holistic perspective by reviewing the operating Context, competitive Salience, Target market Desirability and their Behaviour. SocialScope™ looks deeper into Social results than the normal statistics and guides clients to a position of greater confidence with their Social programme. 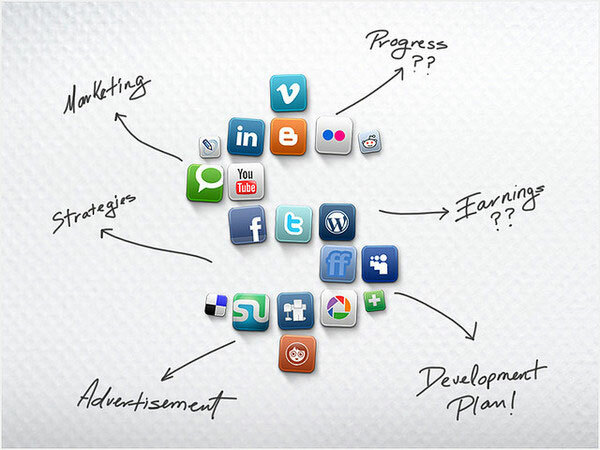 If you’d like to review the purpose and performance of your Social Media programme don’t hesitate to get in touch. 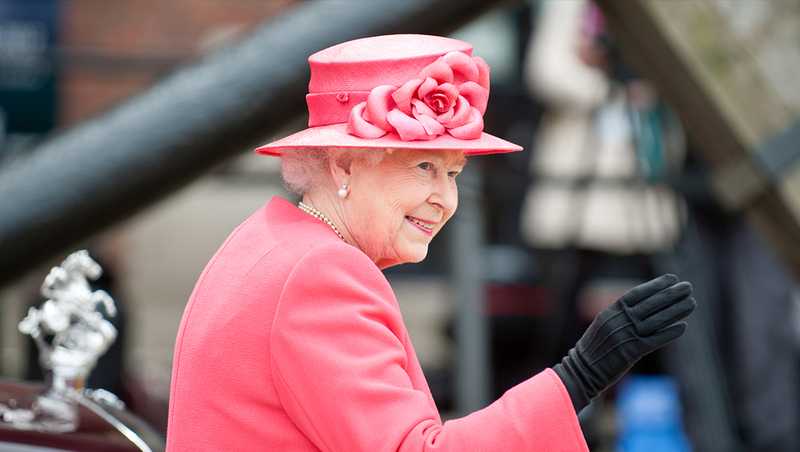 In the spirit of Royal weddings and birthdays, Energi’s new team member, Strategic Planner Vishal Ponnappa, takes a look at the original family business of influence: the Royal Warrant. Read more about it here. A new initiative as we move towards the colder bleaker months of Winter, is to create a heart-warming moment. To acknowledge each month the person that really has set the bar high, pulled out their very best and to celebrate that contribution. The inaugural recipient of this award goes to Paul Bayley! His first Gold Award for his Trunk Bar design and execution in the Pride in Print Awards. 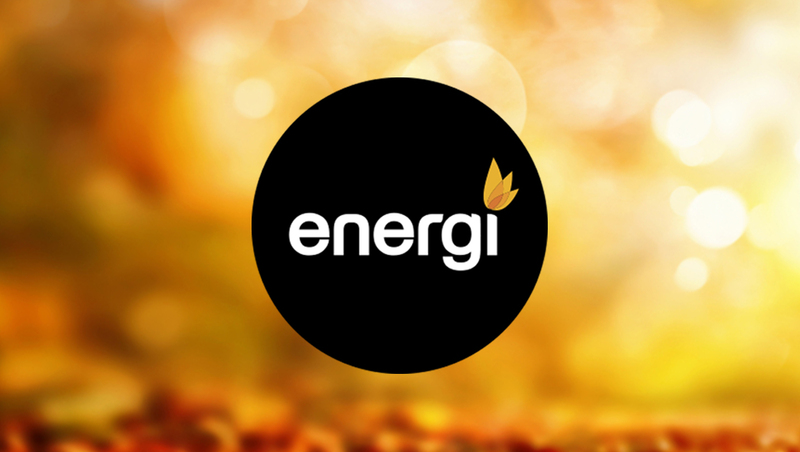 Energi enjoyed a strong finish to FY2017. The growth of 30% driven by demand. Specifically from DemandScope™, the Energi NPD play for 2017. Proving that strategic nous drives demand. Completing the first month of the new financial year we are underway with two new DemandScope™ projects commissioned from two new clients. On a personal note April has been a special month. 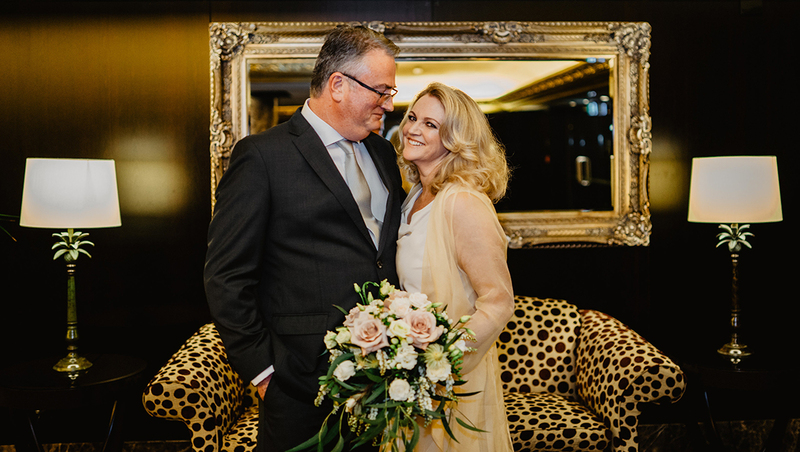 I’ve walked beside both Lorraine Downes and her late husband Marty Crowe during the last decade. We shared some incredible highs and the most devastating blows. Through friendship and faith we came through our challenges stronger and more resilient. In April we celebrated one of New Zealand’s much loved and respected female role models. Having used the pivotal moment in time, back in 1983 when crowned Miss Universe, Lorraine used that platform to carve out a career during next 30years dedicating herself to helping women become the best they could be. Her recent return to public life triggered many women’s stories told via Lorraine’s social media feeds. Stories from women revisiting the moment Lorraine created an impact on their lives for the better. Quantitatively she has raised millions of dollars for charity and used her voice to drive change where change is needed. Both Child Cancer and the New Zealand Breast Cancer Foundation have benefited from her Brand Ambassadorial roles for which she gave both 3 years of her life and time to. Her brand in great shape has a bright future and she has a desire to get back into helping New Zealand companies and brands that want to reach their full potential where there is a good fit. 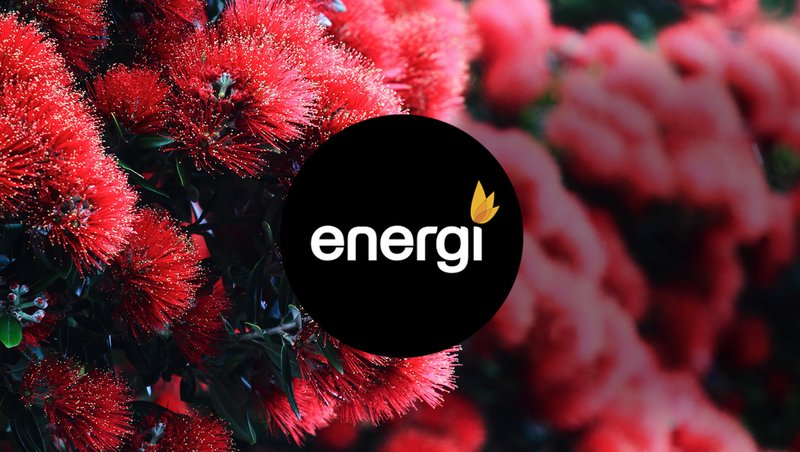 Looking forward to May, at an industry level Energi will again partner with the Marketing Association and Marketing Magazine as the Premium sponsor for the TVNZ Marketing Awards Marketer of the Year award. We support excellence, acknowledge it and celebrate it. Join us as we review notes from the retail front line. Getting positive brand wins from seizing the moment and the importance of storytelling to create immersive AR/VR experiences. 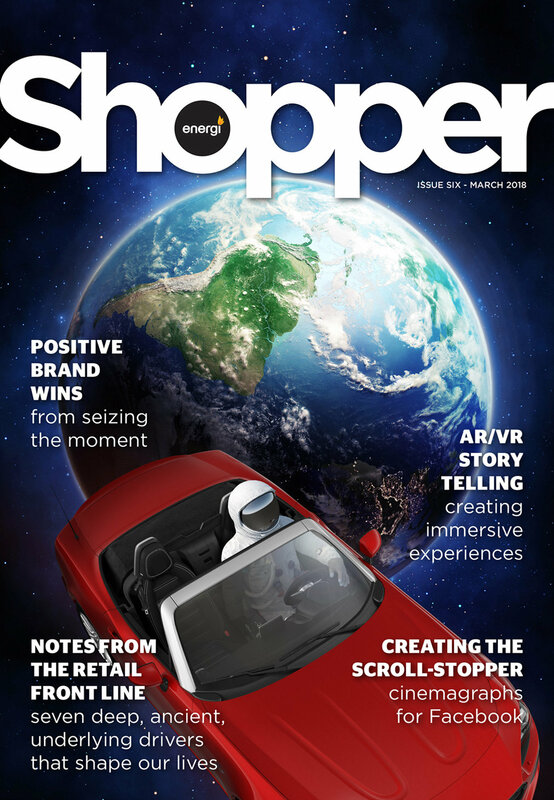 We interview Marcel Gull on the importance of key influencers and so much more in this month’s edition of Shopper Magazine. Energi Digital Creative Director Paul Bayley gamified a Shopper Campaign for Cottonsoft toilet tissue to introduce new packaging across 3 Cottonsoft Spin & Win Skus as well as the debut of the new animated TVC. Bringing the much loved Ralphy character to life using the latest animation techniques produced by Flux. 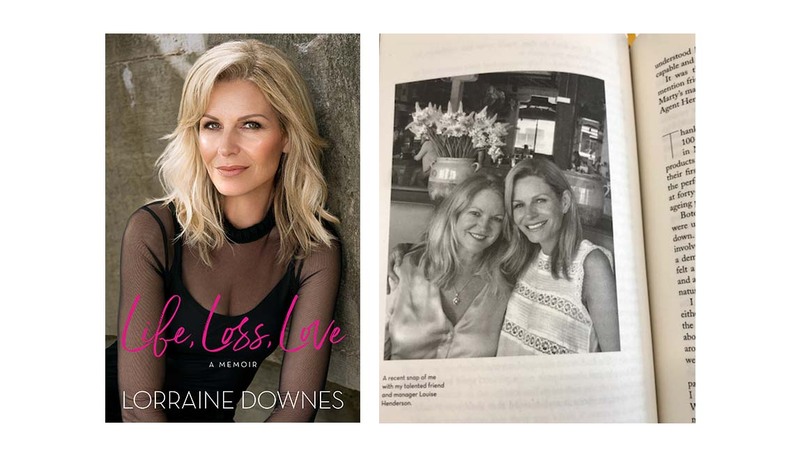 For the last two months Sunday TV have been following Lorraine Downes throughout her daily life in the lead up to the launch of her memoir Life, Loss, Love, they produced a story that is a true reflection of the person. The book hit the shelves throughout New Zealand Friday 22 April. The Sunday show broadcast to the nation on Sunday 24 April at 7:30pm winning the ratings on the night All people 5+ 725,450 tuned in with a massive 10.4 rating. The nearest competitor program rated 6.4. 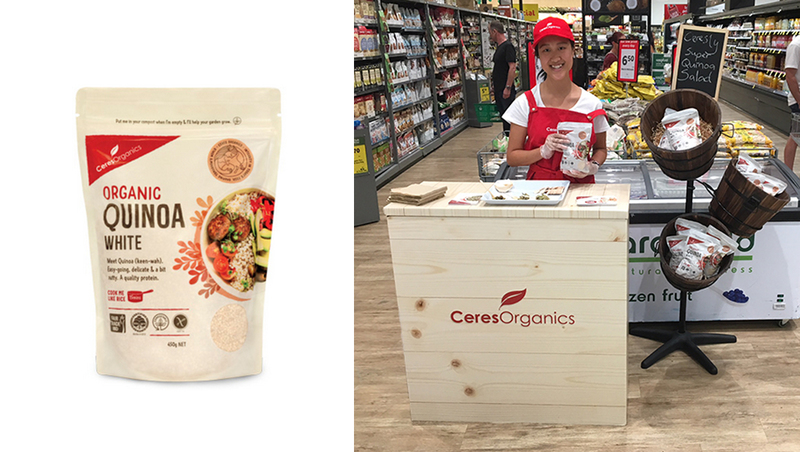 Ceres Organics commissioned Energi to design and produce an in store program to introduce Supermarket Shoppers to the new compostable packaging for Ceres Organics White Quinoa. 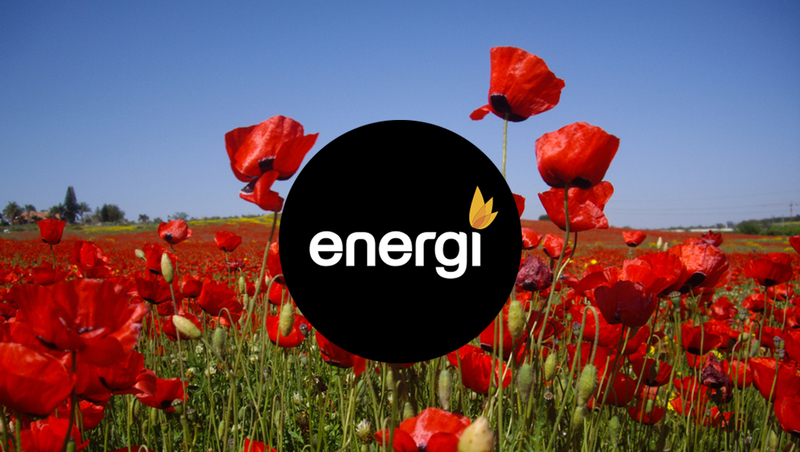 Penelope Blindell, Snr Account Manager joins Energi on May 14th. As a Shopper Marketing specialist Penelope will join Steph Perrett, Shirley Lowe and Melissa Ranaldi in the account service team. Vishal Ponnappa joins Energi as a Strategic Planner. With a Masters degree in Advertising gained at AUT, and a career developed as Digital Planner in the Silicon Valley of India, Jodpui, Vishal will provide support to Lew Bentley including digital communications planning demand driving campaigns for Energi clients, from e-commerce to social media engagement. March madness is driven by Uni Students returning to Campus. Other than the burden on the public transport system and inner city parking, the one thing that was a certain madness and seriously grabbed my attention while waiting at the lights on Symond St across from Auckland University Campus, was observing every second young woman commencing their University education wearing those ridiculous denim shorts, shredded with holes, letting everything hang out. I truly had a moment of clarity. The great Tip Top campaign came to mind, Undies Undies, Togs Togs. Maybe we should make those dreadful shorts the next worst fashion crime to budgie smugglers and put up a billboard across from Campus. Anyone care to sponsor it? As March draws to an end and we begin our Easter break, take care on the roads you will be tired by now. Enjoy your family and time with friends and if you are like us, getting into a few DIY projects at home at least take Easter Sunday to chill. 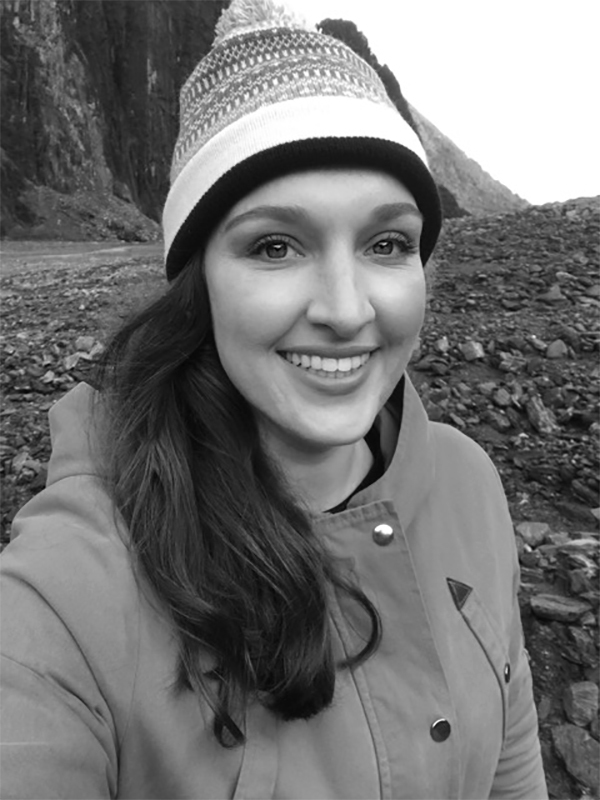 As the recipient of an ASB scholarship Louise Henderson attended a two day program in early March. Held at EY in Britomart and lead by invited experts in their respective fields from CEO’s, HR experts, Lawyers, Accountants and Venture capitalists. All speakers were invited to inspire, educate and challenge the attendees to take a fresh look at their businesses. At the end of the two days each of the attendees presented a 4 minute presentation on their business, highlighting 3 things to take with them from the two days into their business, action those 3 things knowing a follow up meeting would come in the next 4 weeks. 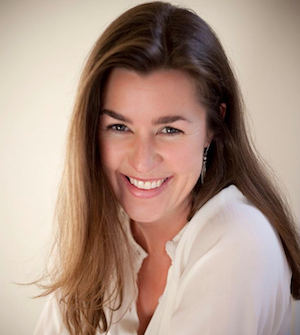 Louise Henderson has represented Lorraine Downes as Business Manager and Agent for nearly a decade. 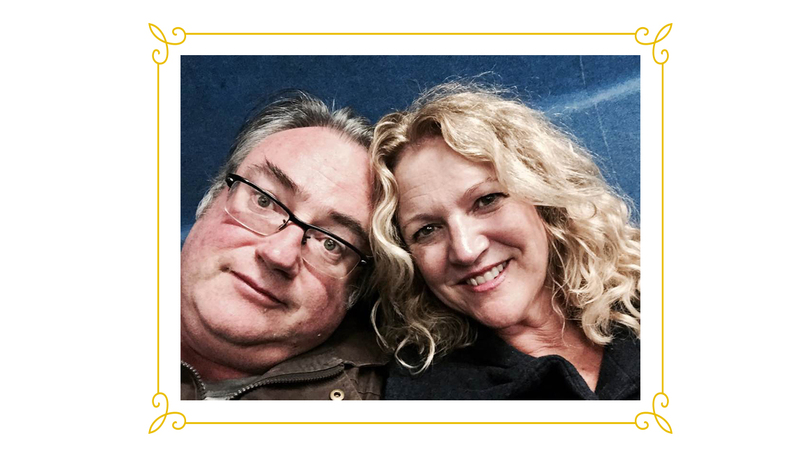 Lorraine stepped back from public life 5years ago to become the primary caregiver for her husband Martin Crowe throughout his journey with cancer. Martin died in March 2016. Louise has worked closely with Lorraine as she gently ventures back into public life. 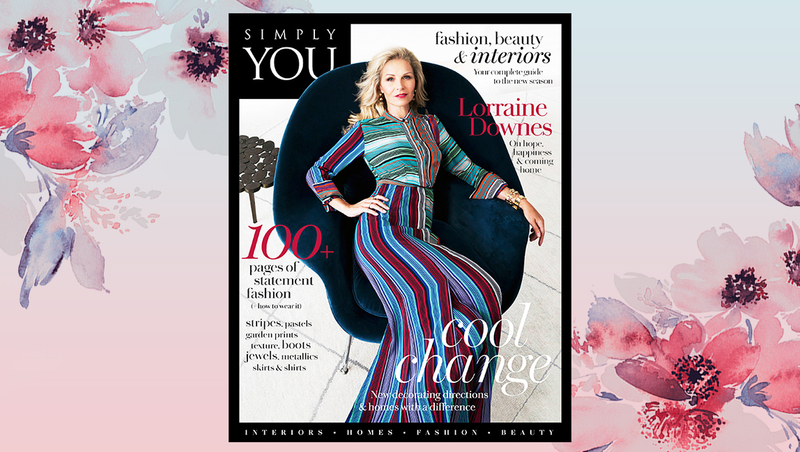 Louise worked with Bauer editor Marcel Gull to ensure Lorraine’s experience was flawless, elegant and rewarding for both Lorraine and for the loyal following of Simply You readers that expect nothing less than the best from Simply You. Gracing the cover of the March edition of Simply You magazine, Lorraine remains to this day a true star and role model for New Zealand women. Energi is currently working alongside the publishing house Allen & Unwin for the release of Lorraine’s memoir Life, Loss, Love on April 22 2018. Meeting Dr Michelle Dickinson MNZM aka Nano GirlAs part of our community program we took a table of 10 for the inaugural MindBreakfast series. The series is the brainchild of our Tasman Building neighbours, WeAreTenzing. They offered us the opportunity to purchase a table for 10 and given the subject matter rather than taking the corporate hospitality route we took the opportunity to invite 10 female college science students to the breakfast. The female science students from Kristin, selected by their Dean were a joy and delight to host. They asked many questions, made furious notes, and when the show was over they charged the stage and surrounded Michelle. They gained her autograph and I’m quite certain, experienced a defining moment in their education. Brooke Howard-Smith the Executive Producer of the series with his business partner Derek Handley sent a thank you note advising. Having the Kristin students attend made the event 50% better. Something to think about. What do you do to offer inspiring moments in your community? Yesterday Energi PR launched Twenty8 to the opinion formers and leaders of the New Zealand media. This included Key Influence bloggers, and social media stars who are sharing their Twenty8 discoveries and insights with their followers. 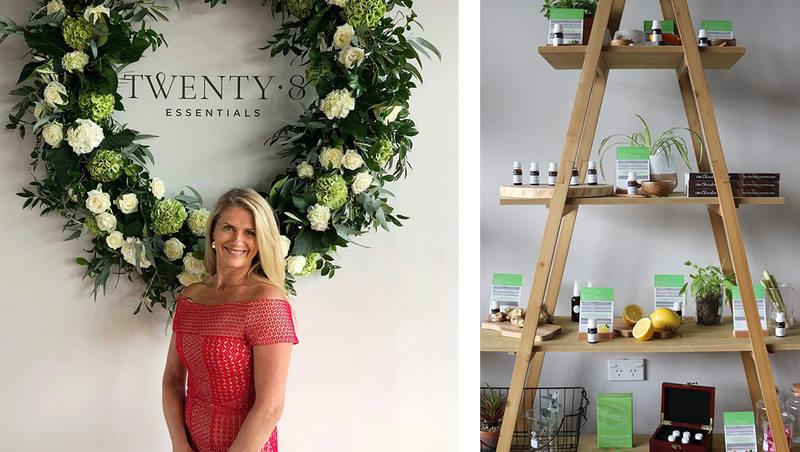 The launch event was a success, with founder Kim Morrison having tested her range of essential oils and skincare on Australians for the last 8 years. She feels confident that the New Zealand market is now ready to receive it. Celebrating the debut of her range on her 50th Birthday which happened to be the 28th March, was the cherry on top. Energi client DACXI has taken Energi into the 4th Revolution: the Technology Revolution driven by Blockchain. 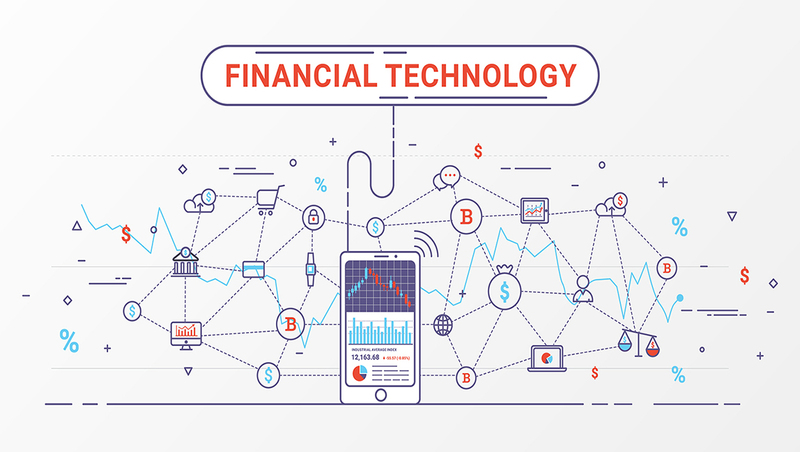 Blockchain is essential for all business people to get their head around because it is poised to release a surge in innovation that will disrupt many different categories. Any Energi Clients wanting to gain a further understanding of BlockChain, please feel free to contact Lew. If there is sufficient interest we will put on a seminar. Introducing Belinda Bantjes.Belinda joined Energi as our new Mac Operator. With a background in Design and work experience spanning South Africa to South Korea, she brings design aesthetic, accuracy and discipline to the rigors of problem solving through design that is truly world class. Out with the old and in with the new Energi ride. EX=CX. February conjures up Waitangi Weekend, Valentines and this year, 28 days. In addition to these events, the Lunar calendar bought the Chinese New Year into February, on the 16th to be precise. 2018 is The Year of the Dog. 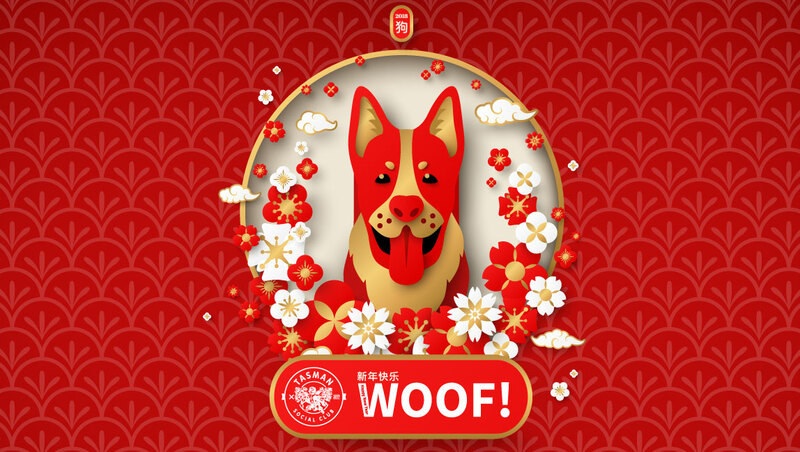 Born in the Year of the Dog are the characteristics of loyalty and fidelity, and the predictions for this year of the dog are for change. Interestingly, we all witnessed change on Waitangi Day, a historic occasion with Jacinda Ardern being the first female Prime Minister to speak during the dawn powhiri held on the grounds of the Treaty Settlement site and spending five days touring the Northland district. Valentine’s Day truly has become a shopper event. The Mastercard Love Index survey has revealed men as the true romantics with the average spend $157 in comparison to women at $103. Valentine’s Day is not the day for Diamonds and proposals in New Zealand but it certainly is in China, Vietnam, and Taiwan where it has become the day for proposals. Data revealed most purchases happened during the last-minute dash on February 13 with cards, flowers and dining out being the traditional customs for the day of Love. 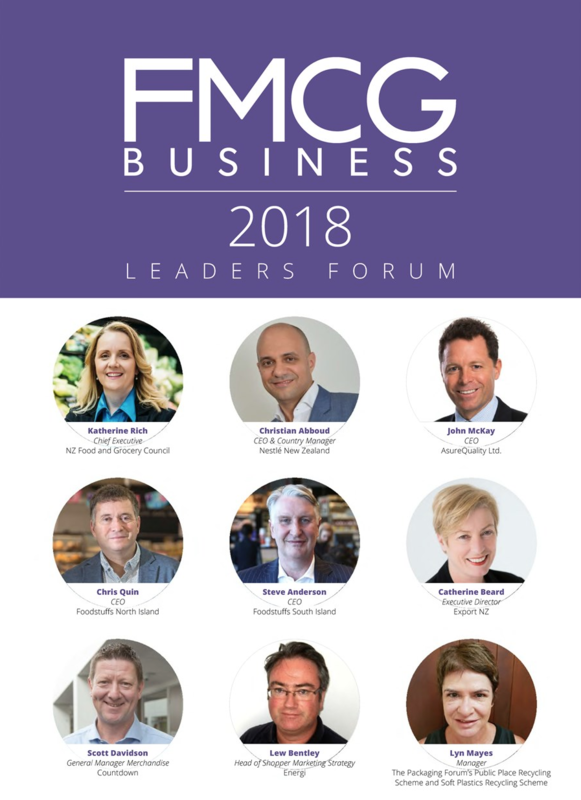 Featuring Lew Bentley, Energi head of strategy, planning and insights amongst the FMCG industry leaders forum. Read what he has to say about the paradox of choice and the importance of getting your choice architecture right. 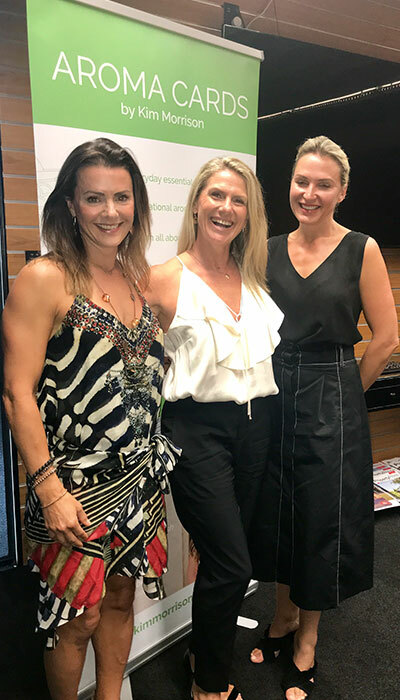 Energi PR traveled up to Bauer to introduce the Founder of Twenty8, expat Kim Morrison and her New Zealand based business and health and wellness partner Marnie Perkinson to the Bauer Media Beauty Editors. Twenty8 is a premium range of 100% natural, 6-star certified pure organic essential oils and skincare products. The Survey went out, the results are being tallied and we will have the report and insights ready for presentation in mid-March. 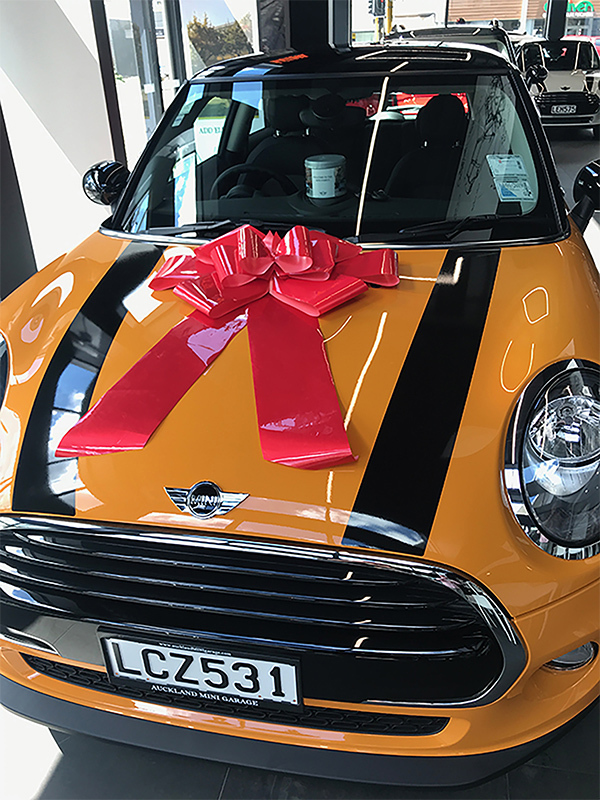 Contact lew.bentley@energi.co.nz if you wish to create and drive demand for Christmas 2018. Energi created the Tasman Social Club the week we moved into the building back in December 2016. At Energi we believe being neighbourly is about doing the right thing by being a good citizen and checking in with each other every now and then. We’ve hosted the Tasman Social Club gatherings on 3 occasions now, this year For Chinese New Year 2018 we welcomed in the Year of the Dog with a big Woof and shared some tall tales. It will go down as the Super month that kicked off 2018 with Super soaring record temperatures and two Super-moons in one month. And tonight we will be treated to an eclipse that only occurs every 150 years…truly once in blue moon. 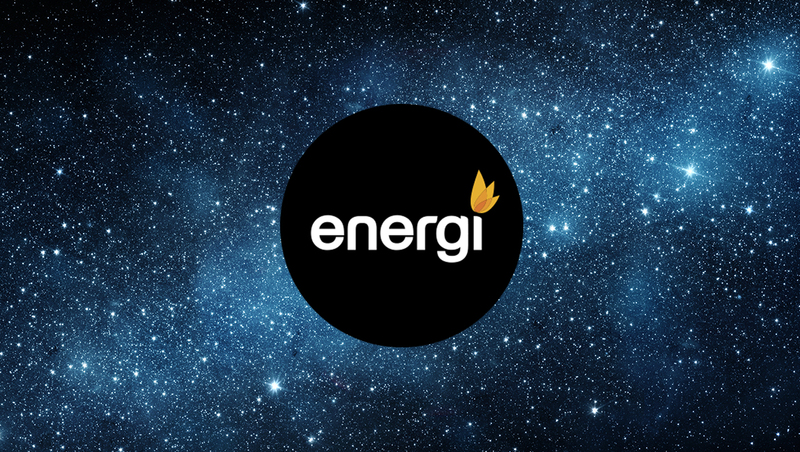 We’ve had a pretty Super start to the year at Energi, and I am excited to share some of the details with you! Lew Bentley published an article on Pricing in the December/January issue of FMCG Business Magazine, along with it a list of 20 different pricing strategies to cut out and stick on your wall. It’s a great tool to have when you are considering your Marketing plans during 2018 and can be helpful on those days when you are struggling with pricing strategies. Currently being finalised as a follow up to our very popular 2016 study, Christmas Shopper 2017 will be ready to view towards the end of February. If you are keen to understand how you can leverage these insights for 2018 contact lew.bentley@energi.co.nz to schedule a presentation for your marketing team. 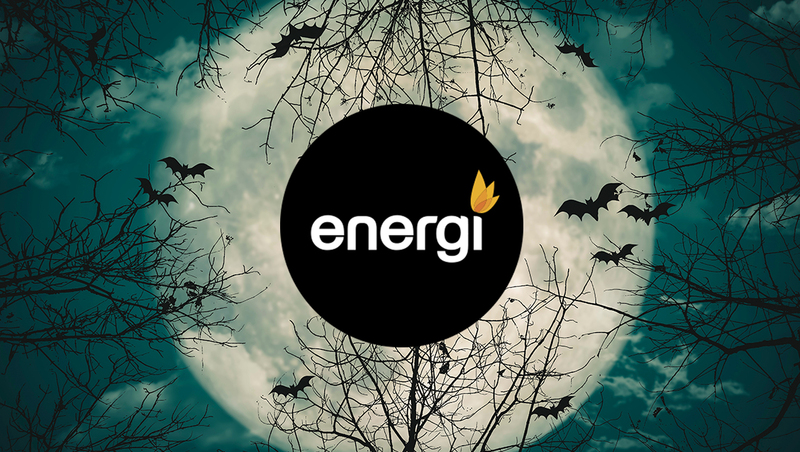 Energi is creating some excellent and effective Social campaigns for our clients. Utilising our proprietary SocialScope™ methodology we can ensure our clients maintain a holistic planning approach to set and reach campaign objectives that aim to grow both brand and sales. 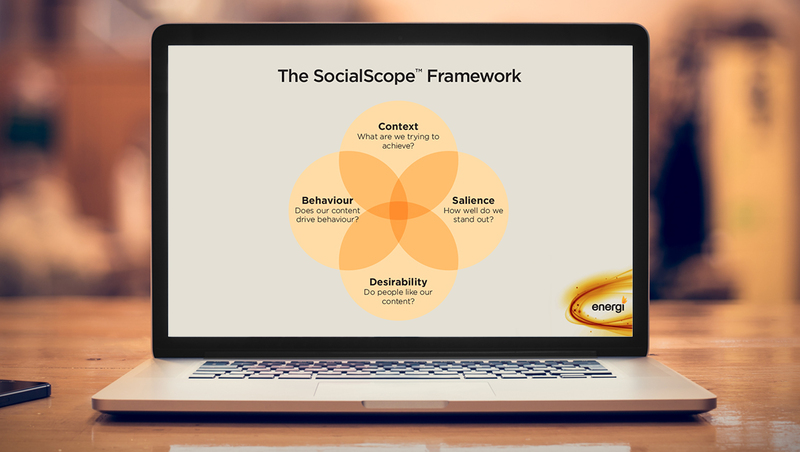 For a SocialScope™ view of your social media requirements contact hugo.venter@energi.co.nz.